The Chinese Lunar calendar doesn’t always match up with ours, and our festivals hardly ever overlap. Whilst the West gets all its gruesome ghosts and ghouls taking centre stage at the end of October, the biggest festival of the dead in China takes place half way through the seventh lunar month. This friday saw the end of Zhong Yuan (or Ghost Month), and to celebrate, here’s a review of 2015’s big fantasy monster movie, released internationally (but not in the UK yet) in August. “Zhong Kui: Snow Girl and the Dark Crystal”, directed by Peter Pau (“Forbidden Kingdom”, “Bride with White Hair” 1993) and Tianyu Zhao; starring Bingbing Li (“Detective Dee and the Mystery of the Phantom Flame”, “Resident Evil: Retribution”) and Kun Chen (“Painted Skin”, “Mulan: the Rise of a Warrior”), is set in the Tang Dynasty, in the city of Hu, during the time of the millennial reincarnation. A once-every-thousand-year alignment of full moon and Ghost Month when creatures from heaven, earth and hell can cross realms. The entire city of Hu is in danger of demonic possession, and our hero, Zhong Kui, is sent by his master, a minor god named Zhang Dao Xian, to steal the Dark Crystal, the cornerstone of the demon world. Are you with me so far? Good. Because it’s about to get complicated. I am always very excited to see any original pop culture output from the mainland. And admit I give a lot of things bonus points for effort, which other reviewers and commentators may not, however, I have to admit that I am a little disappointed by this film. Whilst this is a huge budget film, with glorious costumes, big names, and an international crew, the quality of the computer generated graphics, used copiously throughout in the demon world and most of the fight scenes, felt lifted from one of China’s deluge of MMORPGs. I kept expecting red numbers to flash above the demon and Qilin’s heads during one particularly wooden fight scene. The style of the demons jar with the rest of the film’s Eastern aesthetics. Little Snow, when a human, is a model of traditional Chinese gothic – beautiful, ethereal, in flowing white robes. When she takes on her demon form, (yes, because a beautiful girl doesn’t just show up at your village in a Wuxia movie without being a demon or a villain) transforms into a crystalline figure, which you could be forgiven for assuming was a passed-on character design for Elsa. This film lacks direction in either its story, or artistic vein, and the co-production companies listed in the opening credits (around a dozen) shows the dangers of film making by committee. Each of them have clearly wanted and made sure their idea was included in the movie, and the result is an overlong, overcomplicated clash of genres, with still not enough time to properly forge plot or character. There are obvious telltale signs that “Snow Girl and the Dark Crystal” is aimed for the international market. 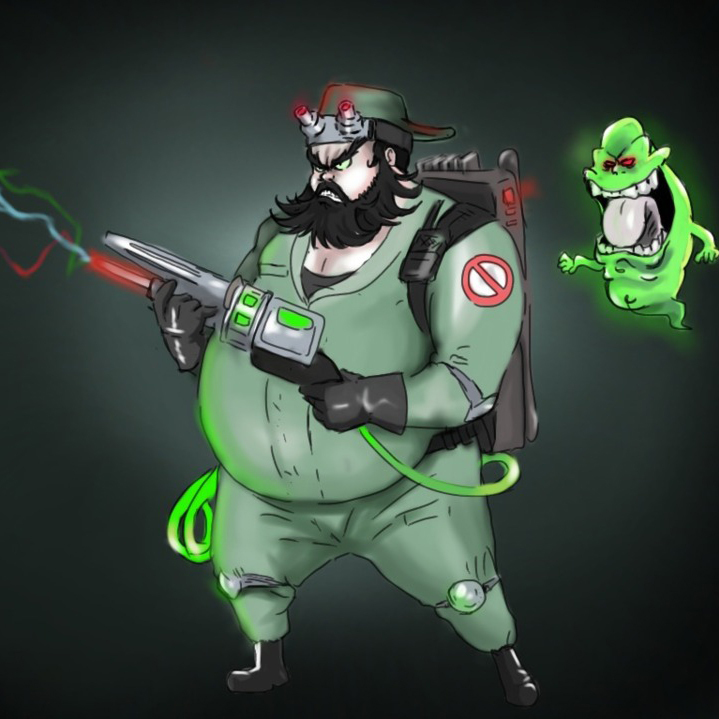 The demonic designs show strong influence from “Devilman” and “Resident Evil”. 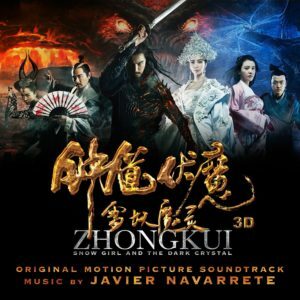 The music featured is by Javier Naverrete (“Pan’s Labyringth”, “Wrath of Titans”), whilst the epic demoniac setting and battles clearly take inspiration from works such as “Lord of the Rings”, as well as classic Western fantasies like “Labyrinth”,” Legend,” and of course “The Dark Crystal”. I am delighted to see contemporary Chinese works drawing from their rich heritage and making lesser-known legendary figures more accessible to the outside world. The character design of Zhong Kui is steeped in his folklore representation as a fierce demon-conquering god, with bushy eyebrows, a beard, wielding a fan as well as his sword. The first demon battle we see has him fighting a nine-tailed fox demon, which is a rough and close-won scrap in a confined space, finishing with him walking out in slow motion, sword slung over his shoulder. The fade to black and white and the bombastic, near rock theme show a transition into pop culture not often seen in mainland cinema. Accustomed to Chinese horror films like “Chinese Ghost Story”, and the mainland’s TV staple inspired by Pu Songling’s ghost stories, I was pleased to see further development of established genres in this film. Star-crossed love between human and demon is one of China’s favourite fantasy horror tropes. 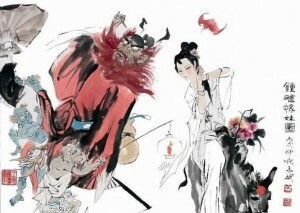 Traditionally men who fall in love with female demons, are sensitive and frail scholars. Although Zhong Kui is also a scholar, he would go on to become a fearsome dangerous demon slayer. The way he acts with Snow Girl is passionate, strong and decisive. The comic sideshows from Zhong Kui’s feisty little sister and her hapless, henpecked finacee is spot on (thanks to the other part of the directorship, Tianyu Zhao). His explanation of the Taoist belief that every living person has three souls and seven spirits, (an important McGuffin for the film) is done with a touch of brilliance and humour, which sets the stage, without feeling like a trite explanation. 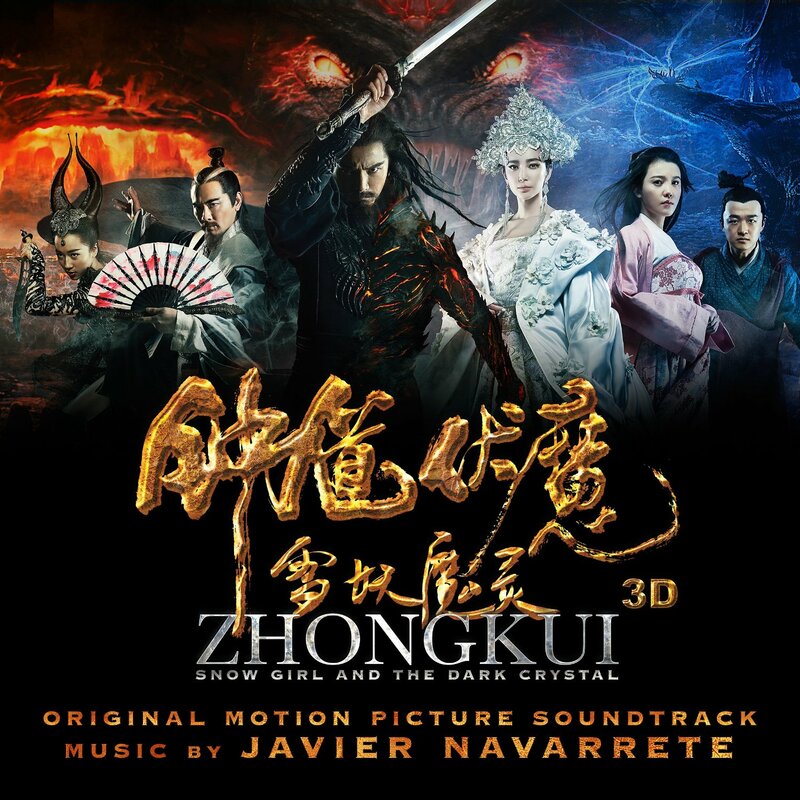 Suffice to say that “Zhongkui: Snow Girl and the Dark Crystal” suffers the typical issues with mainland works of pop culture, a fledgling CG industry that has a lot of room for improvement, an over-reverence to foreign output, a mistaken sense of the need for some sort of homogenous “international market” style, and a lack of confidence to draw on traditional influences. Nevertheless, it’s an entertaining watch, with subtle moments of humour, tenderness and action retaining your interest in spite of dodgy dog-headed demon girls. Often, when commenting on Chinese pop culture, I feel like parent watching child, who’s now grown from a toddler to a teenager. This rather roughly constructed project, containing many elements that show talent, potential and capabilities, gives me hope that the industry IS moving in the right direction, and like a parent, I feel proud and confident that the child will improve. I am extremely glad that for Ghost Month 2015, I am able to share with you this new fantasy epic on the Chinese demon slayer Zhong Kui, rather than having to delve into my box of “classic” films, for the cheesy little Hong Kong number from 1994, “Chinese Ghost Buster”.